Questions about our dog rehoming services? Contact us here! Request Dog Rehoming Services Now! No dog owner wants to be in the difficult situation of having to rehome a dog. Your dog means the world to you, and there is nothing you would want more than to keep your dog for life. But life can be very uncooperative. The best laid plans for dog ownership can be interrupted by illness, financial difficulties, increased job demands requiring travel, a move, landlord restrictions, allergies, disability, pregnancy and raising young children and a myriad of other situations. Rehoming your dog can be necessary, and this very emotional choice carries with it a lot of responsibility for finding a good home for your dog. And that’s where our dog rehoming team steps in! Since 2010, our team has been finding fantastic homes for pre-loved dogs. Our staff have more than 50 years combined experience in pet adoptions, working throughout the USA and Canada helping dog owners in need to rehome a dog. Post your dog’s story to numerous pet adoption classified services on your behalf, with calls and email inquiries sent to our staff to screen and respond to. You get to enjoy your dog while we do the work in dealing with all those calls, texts and emails – many of which can be very upsetting to you. Social Media Campaign. We initiate a sharing campaign on Facebook and other social media websites asking dog lovers in your area to spread the word about your dog’s need for a new home. This modern approach to dog rehoming has proven very successful when done properly. This outreach allows us to rehome a dog quickly in most cases. Local outreach. We will contact local pet related services and ask for their help in spreading the word. This includes veterinary clinics, dog trainers, pet sitters, dog groomers and dog walkers – all of whom interact with potential adoptive families on a daily basis. Adopter Screening. 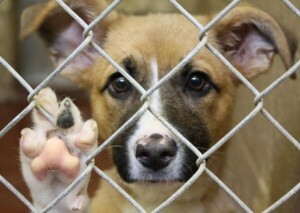 We will perform a background check on all potential adopters before sending their information your way. We will also check through their social media accounts for any red flags. Ensuring the wellbeing of your pet through careful screening is an essential step in safe pet rehoming. We will send pre-screened applications to you by email – and follow up to ensure that you have received this information. Adoption Agreement. 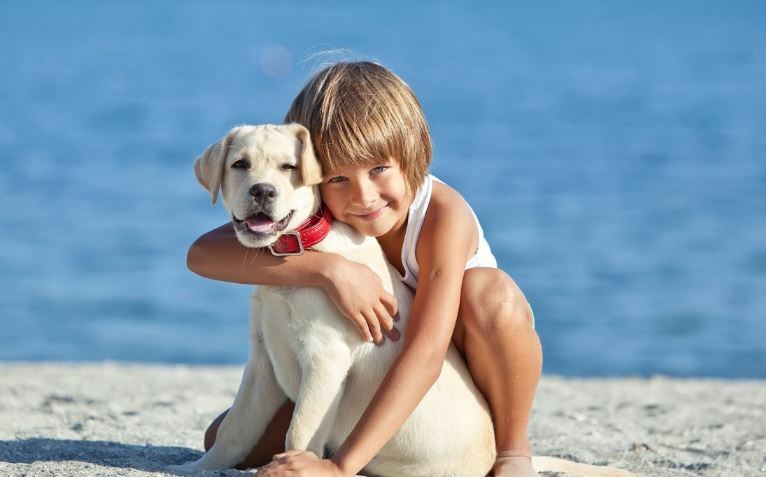 Once you have decided to place your dog with a chosen family, we will provide you with an adoption agreement that both you and the adopters will sign. This helps to ensure your dog’s future well-being, and prevents your dog being surrendered to a shelter or rescue without your consent. After care. We are here for you after you place your dog in their new home. Dog owners find rehoming a dog to be a highly emotional event. It is not uncommon to go through feelings of guilt, loss and mourning. Our compassionate staff are here for you. We have so much empathy for everyone facing the choice to rehome a dog and provide you with unlimited phone support. Follow up. We will follow up with the new owner after two weeks to make sure that things are going smoothly, answer any questions, and offer helpful advice if your dog is experiencing any issues with the transition. We stay in touch for the first 3 months of ownership to make sure that your pet is being well cared for, safe, happy and loved. Rehoming Guarantee. We stand behind our rehoming services. If, for any reason, an adoption does not work out within the first three months, our team will rehome your pet once again, at no additional cost to you. The new owners are expected to house and care for your dog until a suitable new home can be found. Want to learn more about how to rehome a dog through our dog rehoming services? Give us a call toll free at 1 (888) 720-3322 or Contact Us By Email. If you are ready to place a request to rehome a dog, please fill out the form below. We look forward to offering our help and support to you in this most difficult situation. If you would like to have us help you locate the perfect family with whom to place your family member, please fill out this form. Please note: If you need to rehome more than 1 pet, you can submit information for each additional pet here: Additional Pet Rehoming Form. Is pet microchipped or tattoed? Please provide your pet's microchip ID and information on whom the new owners will contact to transfer ownership information once a good home is found. Does this pet get along with cats? Does this pet get along with dogs? Is this pet good with children? Is this pet house broken or litter trained? (If dog) Is this pet crate-trained? Does Your Pet Have Any Health Problems? Does Your Pet Have Any Behavior Problems? What are your pet's favorite toys, foods, activities? If possible, please tell us a funny, cute or heartwarming story about your pet. For What Reason(s) are you needing to rehome your pet? What supplies and accessories will come with your pet? Do you hope or intend to stay in touch with your pet in it's new home? Please provide the name and contact information for your pets' veterinarian. This information will be needed by the new owners, so that they can have the records transfered to their veterinarian. The safety and effectiveness of our private pet rehoming services rely on our ability to pay for targeted advertising for your pet, and careful screening of potential owners. We charge a reasonable one-time intake fee to rehome each pet, which gives us a fund from which to pay for these expenses. Please note: If you would like to speak with one of our pet rehoming coordinators before paying this fee, please select "I will submit fees after consultation", from the drop down menu below. If you are only in need of assistance locating a home for your pet, but would prefer to skip our extensive screening/placement guidance services and rehoming guarantee, please choose the "basic" service option. By submitting this information and signing below, I hereby state that I am the owner of the pet referenced above, and that I authorize Pet Rehoming Network to provide private pet rehoming services on my behalf for the service fee detailed above, payable before services begin. I hereby acknowledge that I have read and agree to the terms of service as set forth on this website. It may take up to 2 minutes for your information to be submitted to our rehoming team. Please check your email after submitting your information. You should receive email from our rehoming team with instructions for sending in photos/videos.